Antibiotic resistance in animal isolates of enterococci is a public health concern, because of the risk of transmission of antibiotic-resistant strains or resistance genes to humans through the food chain. 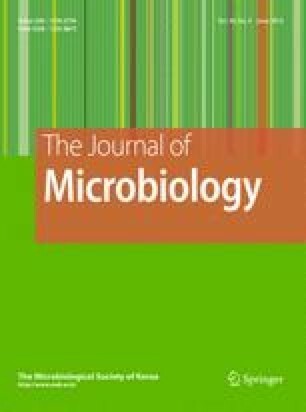 This study investigated copper resistance and its relationship with erythromycin resistance in 245 enterococcal isolates from bovine milk. Phenotypic and genotypic resistance to erythromycin and copper sulfate were investigated. Of the 245 enterococcal isolates, 79.2% (n=194) displayed erythromycin resistance (≥8 μg/ml). Of the erythromycin-resistant isolates, 97.4% (n=189) possessed erm(B), 73.7% (n=143) possessed mef(A), and 71.6% (n=139) possessed both genes. Of the 245 enterococcal isolates, only 4.5% (n=11) displayed copper resistance (≥28 mM) and the copper resistance gene, tcr(B), was detected in seven isolates that all possessed erm(B). This study is the first to report the tcr(B) gene in enterococci isolated from Korean bovine milk and its relationship to erythromycin resistance.